I was sitting outside this past Thanksgiving, surrounded by beautiful trees and rolling hills and feeling grateful for the crisp, clean air, when it occurred to me that we should have a similar holiday of thanksgiving for the earth. However, we don’t need a whole new holiday for Earth; we have Earth Day. We also don’t need another organization to manage or another fundraising opportunity to ask people to donate their money. All we really need is for everyone to stop for a minute and feel grateful. I believe we could achieve so much good by simply taking time to reflect on what the earth has given us and continues to give us every day: all our food, our air to breathe, the materials to build our homes, and even the coal and oil to heat them! It’s time to show some gratitude to Earth, for even just a moment. The truth is, the earth unifies everyone and everything. Regardless of our differences—whether they be political, cultural, religious, or geographical—one fact is immutable: We are all completely dependent on the earth. We cannot survive without it. When a gift such as the earth is given, it is both polite and kind to give thanks. So this is a call to action—an easy and fun action that will both benefit you personally and help spread appreciation worldwide. This coming Earth Day, let’s celebrate with an Earth Gratitude Wave. It will be a time for you to consciously express your gratitude for the earth. Imagine a giant wave of gratitude passing around the earth and surrounding each and every one of us. You can express it to your own heart, to your friends, family, and coworkers, or on social media. Or even better, to nature! What: Pause to consider and share what you are most grateful for—in a moment, in your life, in your surroundings. 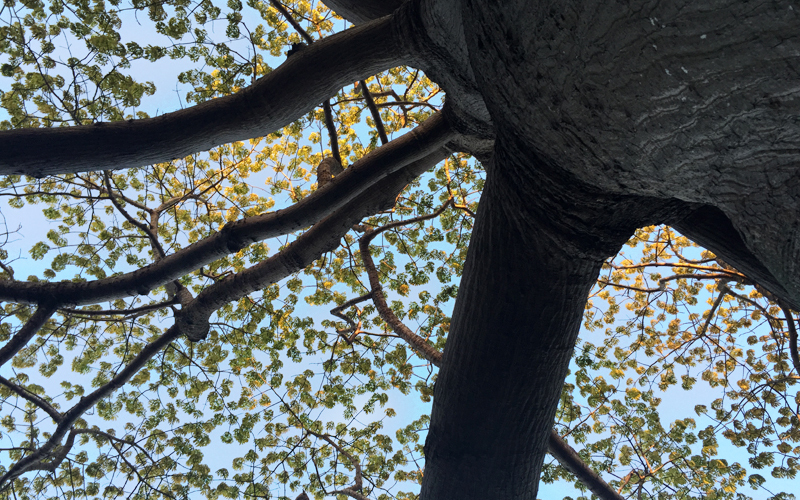 It can be anything: your favorite tree or your favorite food, a river flowing with clean water, a glass of good red wine, kittens or birds, your home or vacations…it’s all from the earth. Why: Let’s do this together, and let’s do it globally. Imagine the positive energy that we will create. This is a moment not for judging or being judged…there is no right or wrong or best and better. This is just for the personal pleasure and delight in feeling grateful for the earth. Seriously, no strings attached. Just a small moment of shared appreciation for the one thing each and every one of us can’t live without. How: Stay tuned for future updates on the Earth Gratitude Wave and for times/ways to share your gratitude for the earth! Follow us on Twitter and Instagram: @EarthGratitude. Share the invitation to celebrate via our Facebook events page. 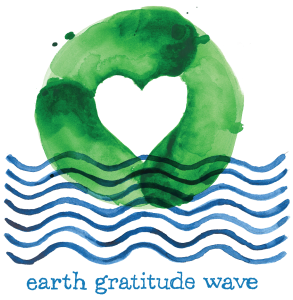 Participate in the wave using #EarthGratitude. There is nothing more healing than gratitude! Thank You is the only prayer needed. Our Earth is our Home and our Life and we are the only ones who can protect and help Her. Let’s take our responsibility seriously and do it with love! Each morning I get up early to have my cup of tea and to look out the window. I quietly stand there and contemplate the beauty around me, the quiet of the morning, the sky, the wind flowing through the trees, the ground and what it looks like this time of year, and all through the year, and how nature changes from one season to the next. It is an amazing evolution to behold. I am grateful for it all. I smile at it all. Then a sadness overcomes me because of the way humans are, and have treated this wonderful gift to us. Yes, we need to appreciate the earth more. I fear that it is lost on most of us, but I think that a revival has started. People are beginning to take notice of what we have, and what we have lost, and may potentially lose. So, there is hope. I hope that it is not too late. I can’t wait to get outside on the deck and plant something. Spring is coming! I am grateful. Please spread the message so that ALL of us are sharing the Gratitude Wave! Love it! I’m in too. WILL put up on my Face Book also!